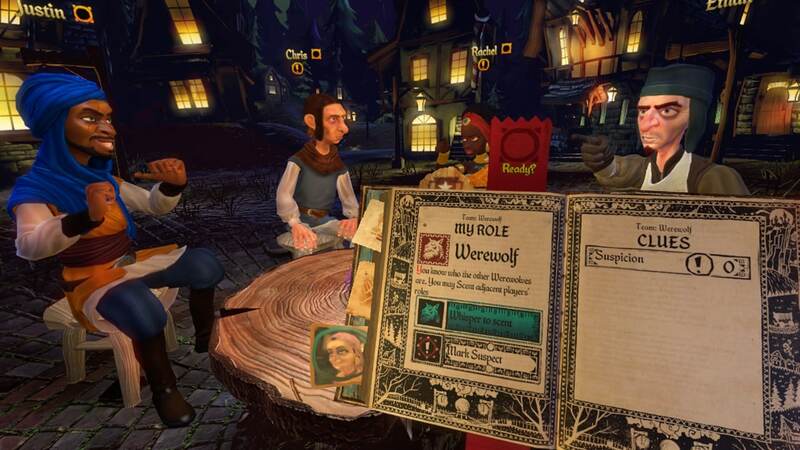 Reveal hidden identities in Werewolves Within, a multiplayer game that captures the essence and competitive spirit of playing around the table through Virtual Reality! 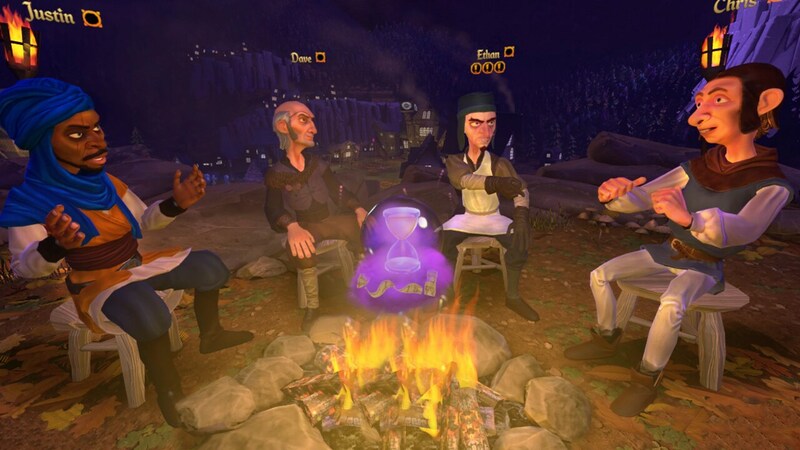 GAME NIGHT COMES TO VR! After several attacks on townsfolk, the medieval village of Gallowston has had enough. With a special guidebook in hand, players congregate to vote and eliminate any and all possible werewolves hiding disguised in the village. Players utilize specific roles and abilities, and the power of persuasion to assess, deduce, and win the round. Werewolves Within is a fast-paced game of hidden roles and social deduction for five to eight players. 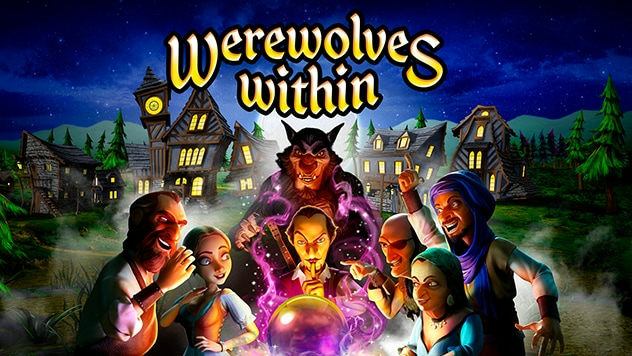 In one game, a player might be a villager trying their hardest to cleanse the town of werewolves, while minutes later they could be the werewolf, lying and betraying friends in order to survive the vote. Werewolves Within keeps players on their toes, constantly questioning each other and testing their personal judgement. 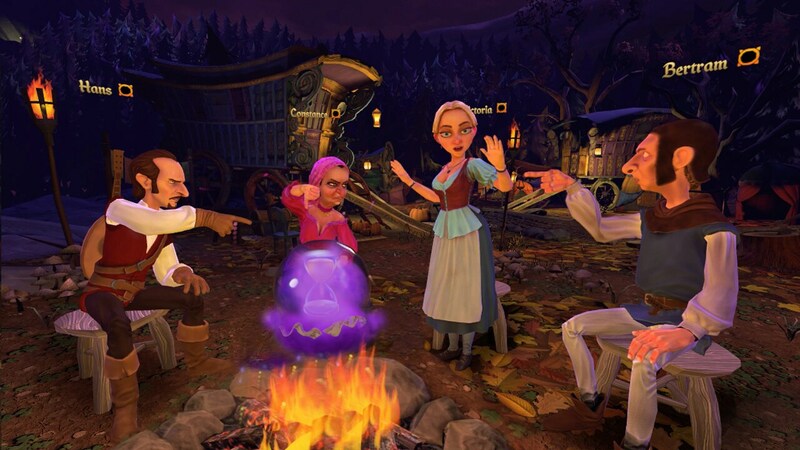 Whether playing a vigilant villager or a devious werewolf, no two games are ever the same. By utilizing Red Storm’s technology in positional tracking, animation based on voice inflection analysis, and emphatic emotes, Werewolves Within realistically mimics a real-life party game experience. 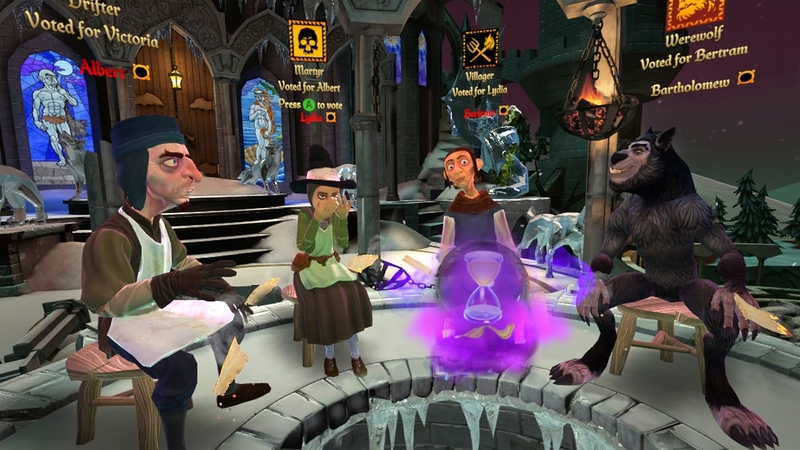 Werewolves Within also allows players to employ a variety of natural gestures that enhance the social experience even further. Roles are randomly assigned at the beginning of each game, ensuring each game is different from the last. Each role gives players special information or abilities, so whether they are The Werewolf, The Watcher, The Gossip, or some other role, they can use the information they have to help or hinder the hunt. Players can refer to the game’s guidebook, presented at the beginning of the game, for help and guidance throughout the game. The gaze-selecting technology makes the book easy to navigate and provides information about roles and rules of the game. Werewolves Within makes it easy to manage a friends list, and allows players to play with their favorite group. In a match, players can add new friends to the list or invite previous friends to join. They also have the ability to create a private match between friends, and the Quick Match feature creates a game session with available friends and other players from all over the world. Got something important to say? Players can stand up to take the floor with Monologue, silencing other players for a brief period of time so they can plead their innocence or make a case for accusing someone without interruption. Want to talk and strategize in secret? 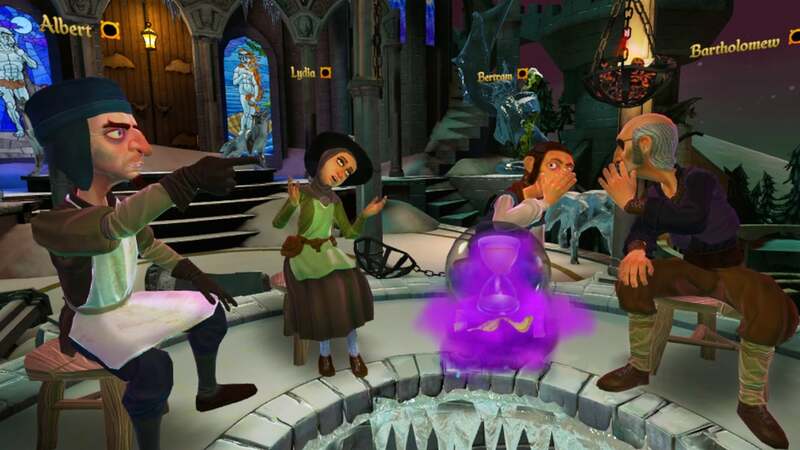 Players can enable Whisper mode by tilting their head to activate a private channel with the player next to them, just as in real life when there’s a secret to share. The game has been designed to ensure immersion in the most natural way, creating the feeling of comfortably sitting around the table. So sit down, gather with friends, and get ready to sniff out which of your friends are lying, and which are telling the truth!